Beef Burrito Bowls | sweet ravioli! Hello blog followers! I hope you are well and eating lots of yummy food! Apologies for not keeping this blog well fed. I have been paying more attention to my Instagram and Facebook pages, however, so if you aren’t already following me there, please do so! Since my last gloomy post things are looking up. The husband’s business has been closed, sadly, but he is on to bigger and better things with a new job. We have bought a smaller house and are no longer renting so we are feeling more positive and happier about the future. Today I bring you a new favourite in the Sweet Ravioli household. I have made these delicious, easy burrito bowls several times over the past six months and they are well liked by the big and small folk. We love Mexican in our house and have always eaten tacos mainly, but, as both the husband and I are conscious of excess carbohydrates and additives and preservatives in things like tortillas and taco shells, we have started looking for alternatives. 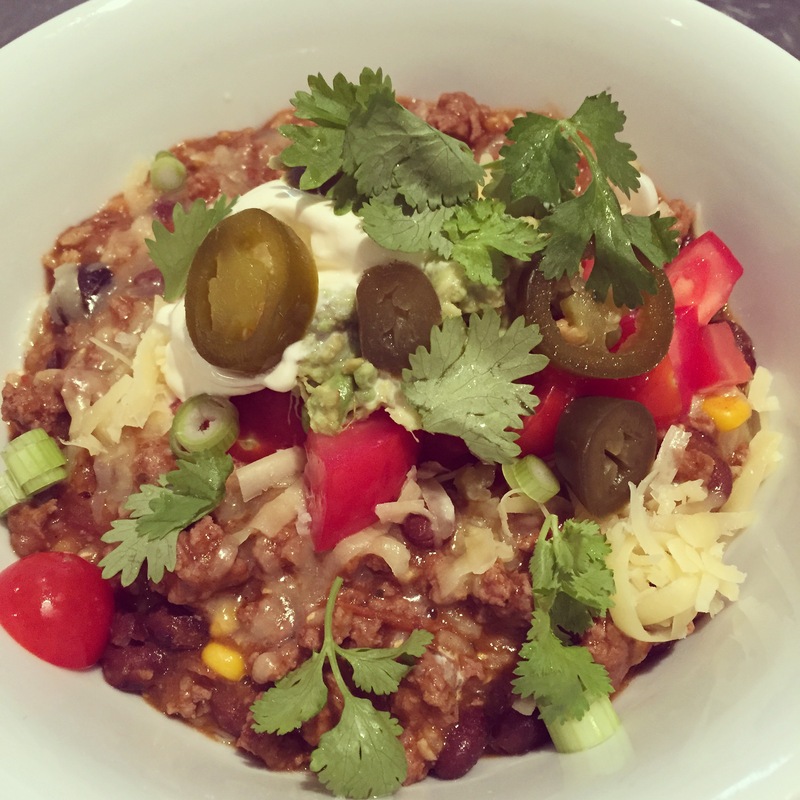 This little bowl of delight consists of good quality organic and/or grass fed mince, brown rice or quinoa (or basmati or white rice if you prefer) and then lots of yummy Mexican-inspired ingredients to bring together a warming weeknight dinner. In a large, shallow saucepan heat the olive oil over medium heat. Cook the onions and capsicum until just tender. Add the mince and cook until browned. Stir in salsa, black beans, corn kernels, passata, rice or quinoa, taco seasoning and chili powder if using. Pour in chicken stock and then bring to a light boil. Cover the pan and reduce heat to low. Cook for 15-20 minutes if using white or basmati rice. If using brown rice, add extra liquid (1/2 to 1 cup) and cook for 30-40 minutes, or until rice is cooked. If using cooked quinoa, cook for 10 minutes or until flavours have developed. I find this dish doesn’t need salt and pepper if you have used a salty taco seasoning but adjust seasoning to your own taste. Pile mince/rice mixture into bowls and top with grated cheese, avocado, sour cream and all your other toppings. Rachel, I’m glad to hear that your husband has ‘landed on his feet.’ Your dish looks like it’s very economical and tastes good, too!